Today is Arthur’s Day, a day when Guinness drinkers are expected to raise a glass to the memory of Arthur Guinness. Yes, Guinness is Irish, you see it in every pub, but if you don’t like the taste of it why not to make a delicious Guinness stew, or maybe make ice cream, what you think? I made this ice cream to celebrate my new ice cream maker. The ice cream is creamy, sweet from chocolate and little bit bitter from Guinness. The taste is interesting, the texture is fabulous. I love my ice cream maker. If you needed an excuse to get one, now you have it, even your husband/boyfriend/partner will support you (even if you have a ton of kitchen equipment) as anything with a beer must be good, and somebody needs to drink Guinness leftover. 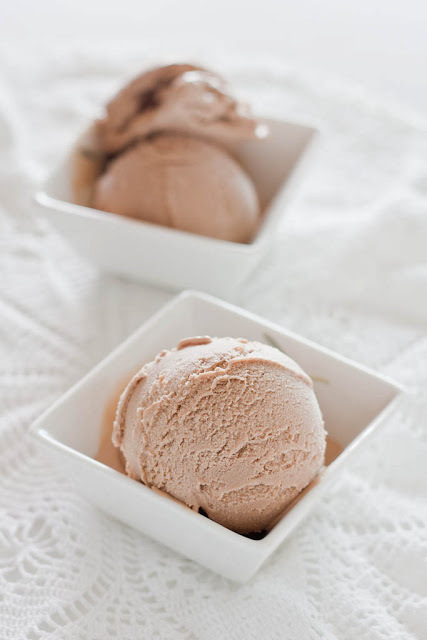 Yes, making ice cream takes some time, but where will you be able to buy Guinness-Milk Chocolate Ice Cream? Warm the milk, sugar and salt in a medium saucepan. Pour the custard through the strainer over the milk chocolate, then stir until the chocolate is melted. Once the mixture is smooth, whisk in the cream, then the Guinness and vanilla. Stir until cool over an ice bath. 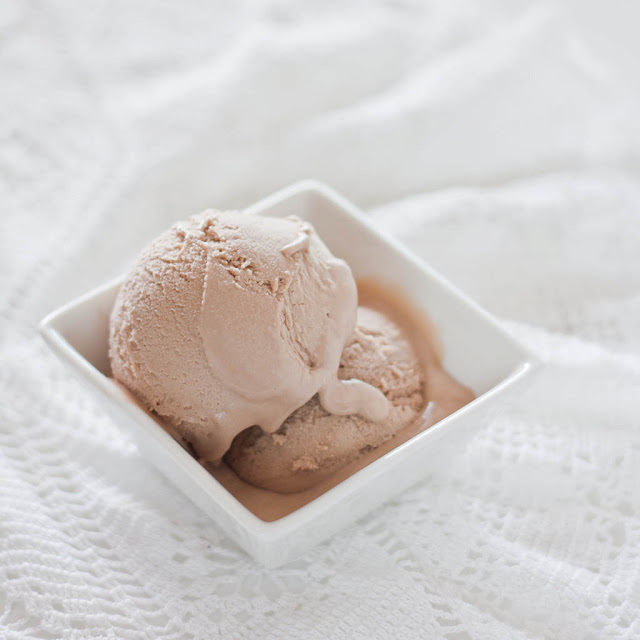 Chill the mixture thoroughly in the refrigerator (at least 8 hours or overnight), then churn in your ice cream maker according to the manufacturer’s instructions. Posted in Ice cream, St. Patrick’s Day, Summer and tagged beer, guinness. Bookmark the permalink. I have made this recipe this summer and it’s perfect, I love, as you say, that flavour between the sweet and the bitter, it’s great! !We also made another Guinnes Ice cream that didn’t use chocolate, only some chips adding at the end, and it was also an interesting flavour, a little stronger, but really good!! I like this recipe. I made in a simpliest way withoiut chocolate and it turned out perfectly. Great photos Magda!! Thank you Veru. I think that next time I will try this version as well. You really do this good. I am happy to have seen your blog, thanks for sharing this one!